Are you a biscuit or cookie lover? Traditionally I am more of a biscuit fan unless Millie’s Cookies are involved because frankly who can resist a Millie’s? I am however willing to forgo my biscuits with my cuppa when M&S Peanut Butter and Choc Chunk Cookies are involved. These cookies are new on the block and follow the ever so delicious Spirit of Summer Peanut Butter Cookies. Housed in a black plastic tray were 8 half chocolate coated cookies that looked utterly irresistible. With that said let’s get tasting. These chunky cookies are on fine form. I was a tad dubious as to how the chocolate coating would fair and particularly as I adored the original Peanut Butter Cookies they did, but these were a little bit of heaven. Buttery and slightly crumbly they had a really delicious peanut taste, it verges on peanut butter however it is not like you are taking a spoonful out the jar. 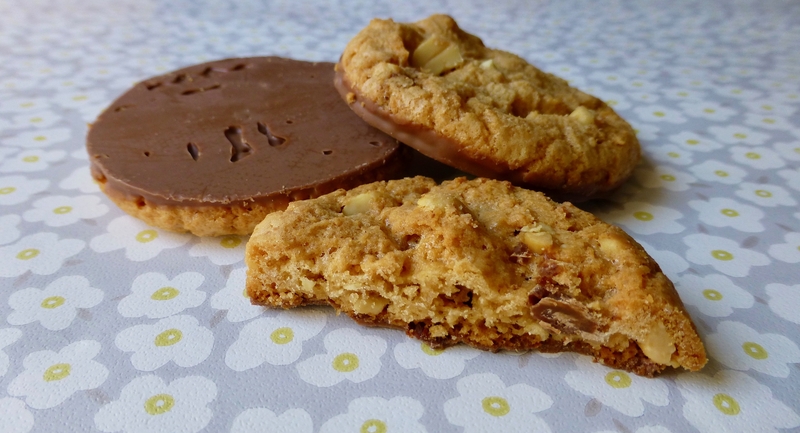 The thin chocolate half coating couple with mini chunks of chocolate embedded in the cookie were just enough to not overrule the peanut taste and made the perfect accompaniment. These are dangerous in the sense you are going to want to eat the rest of the packet. 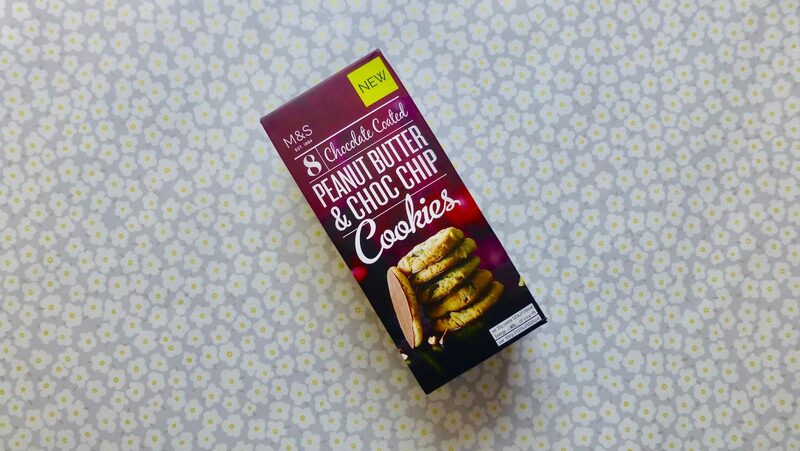 I can’t actually find fault in these M&S Peanut Butter and Choc Chunk Cookies. They deliver on flavour, good quality ingredients and most importantly they satisfy that cookie craving.